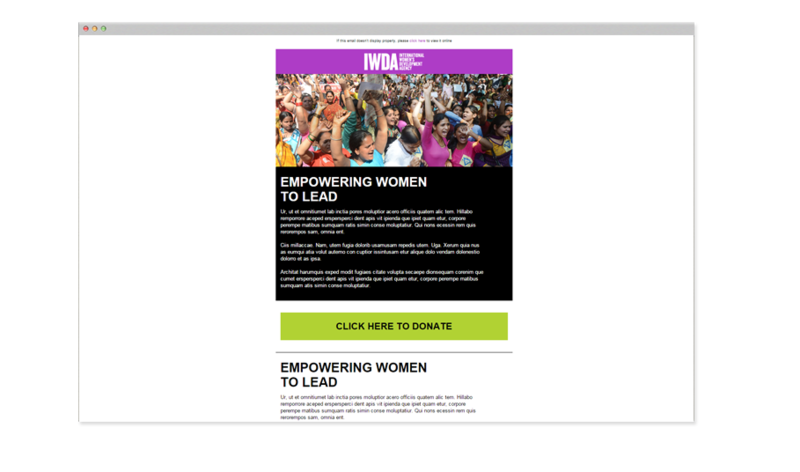 International Women’s Development Agency (IWDA) approached Digital Thing to redevelop their website so it would drive donations and give them a way to easily manage content themselves. 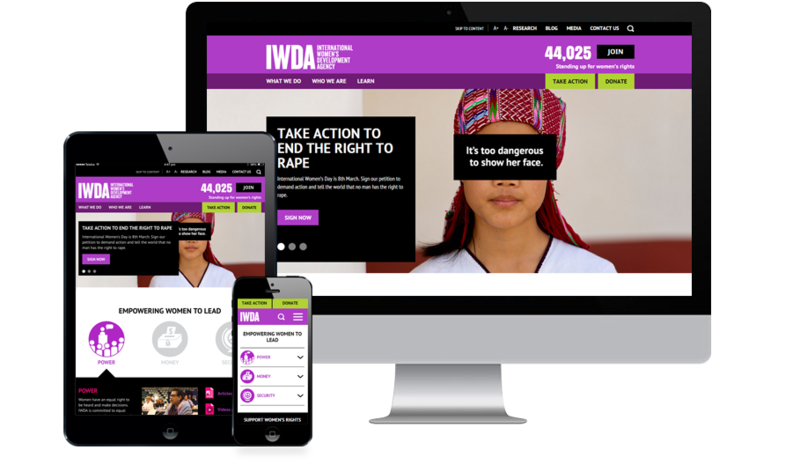 We looked first to IWDA’s existing website to profile its users and how they were interacting with the site. We found that while there was reasonable traffic to the site, interaction was low and the site was not focused on driving donations. 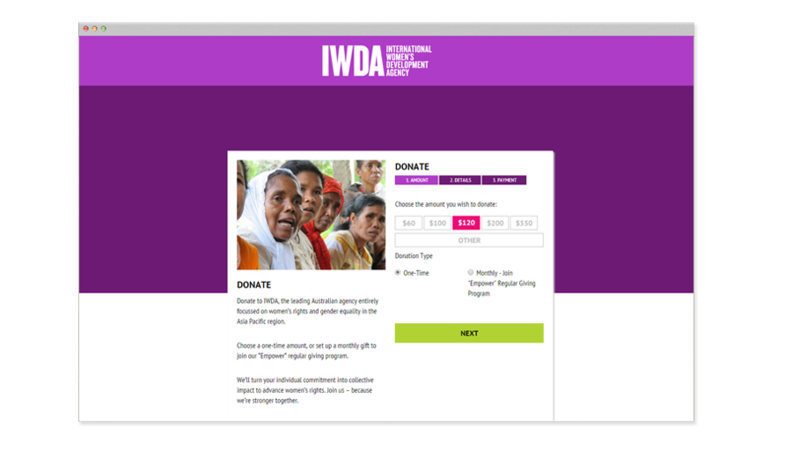 Digital Thing created a new site architecture that would focus on collecting donations. 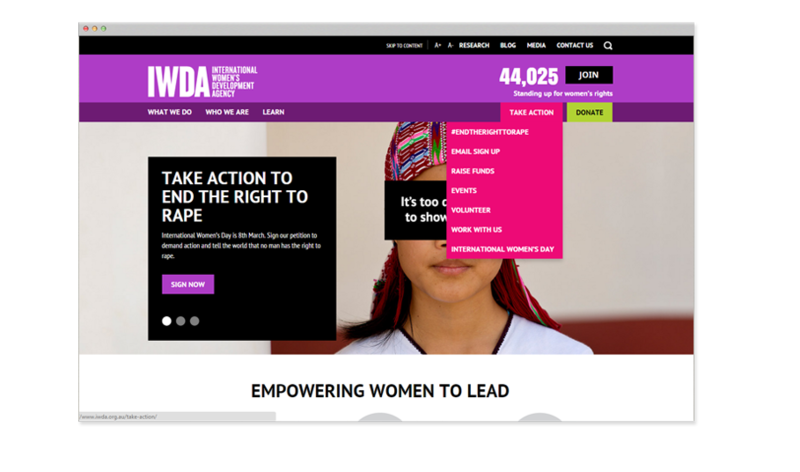 We also integrated the WordPress Content Management System into the site and highly customised the backend so IWDA could tailor the content of each page. 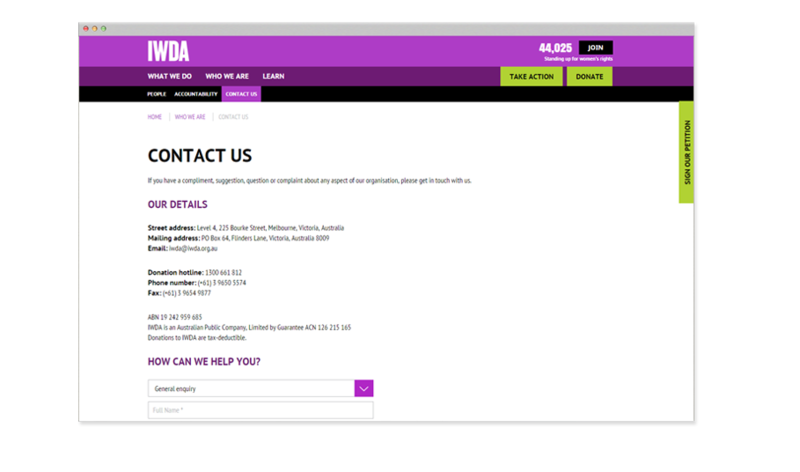 We overhauled the donations section of the website to focus on conversions. Visiting the donations section of the website now, you will notice we have removed the navigation to ensure the focus stays on donations. 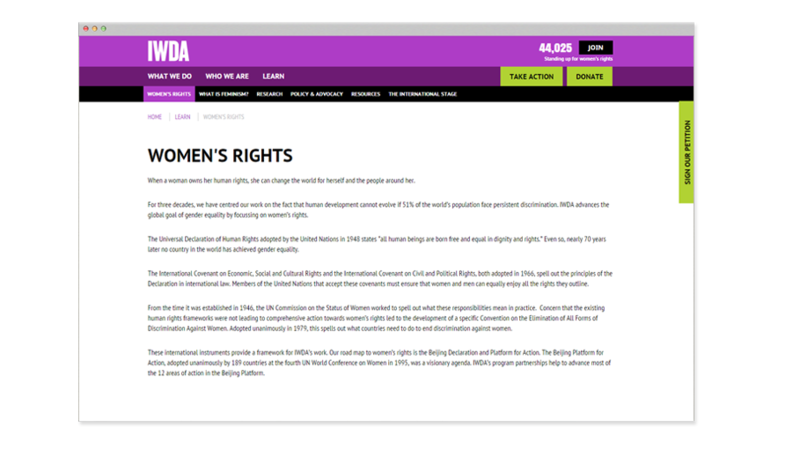 We also built it in a way that IWDA can repurpose this page and customise for future campaigns.